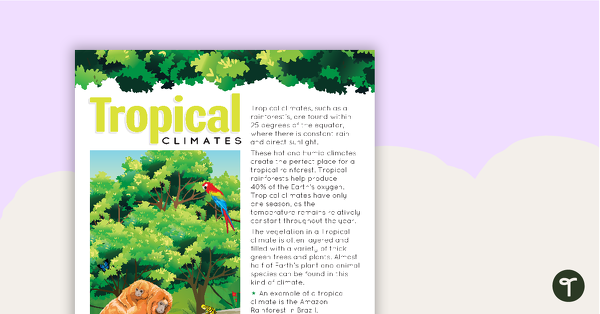 Browse and download Climate teaching resources to use in your primary school classroom. A set of seven posters to display in the classroom when learning about different climate types. 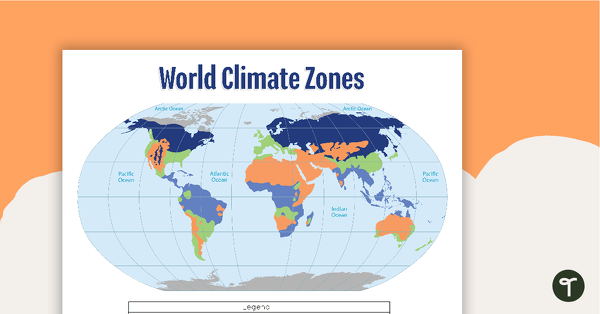 A poster to display in the classroom when locating the different climates of the world. A poster to display in the classroom when learning about tropical climates. 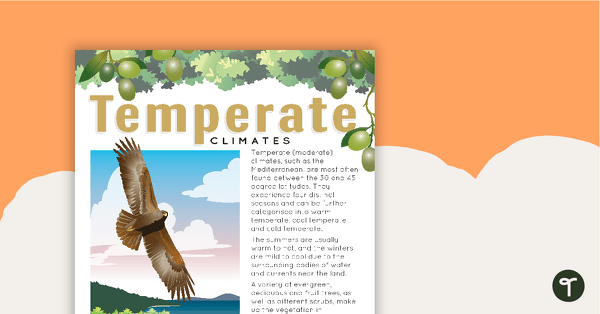 A poster to display in the classroom when learning about temperate (moderate) climates. 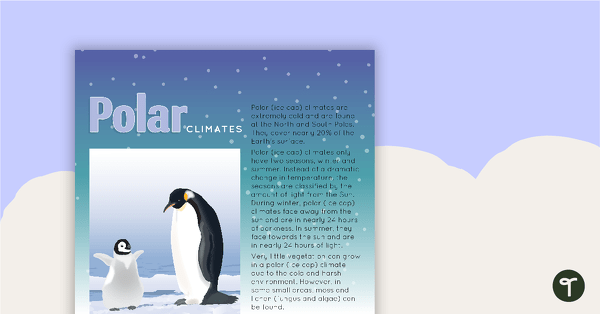 A poster to display in the classroom when learning about polar (ice cap) climates. 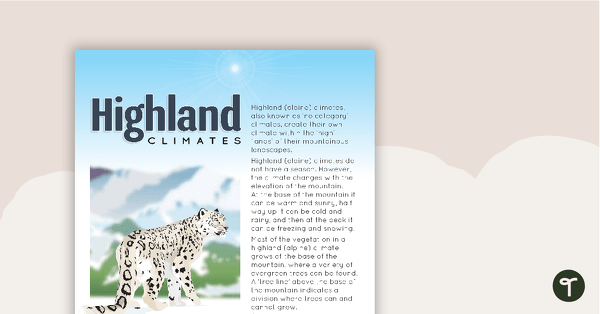 A poster to display in the classroom when learning about highland (alpine) climates. 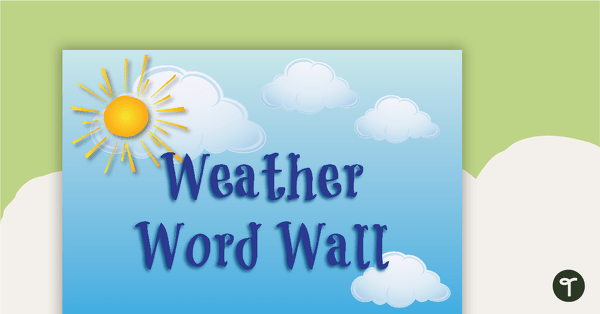 82 weather related vocabulary cards for a word wall.